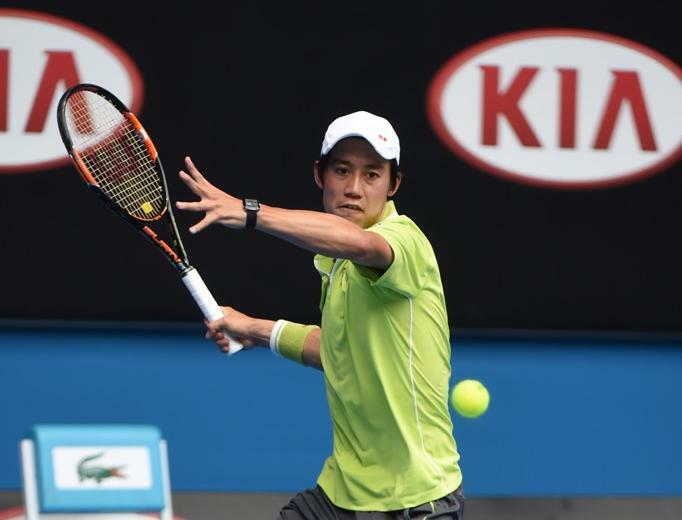 Can Nishikori Stop Djokovic's Pursuit Of History? Can Nishikori Stop Djokovic’s Pursuit Of History? After Novak Djokovic completed a grueling four-set win in the fourth round of the Australian Open in the early hours of Tuesday morning, the Serbian stepped back on the court to speak with former World No. 1 and on-court interviewer Jim Courier. The American asked how Djokovic was holding up after a physical battle against Daniil Medvedev. “Since I guess my next opponent is watching, I’m feeling fantastic. I’ve never felt fresher in my life,” he said. Djokovic was joking. But he’ll certainly hope he feels fresh, because another tough test looms in the quarter-finals. The top seed faces Japanese superstar Kei Nishikori, who triumphed in a fifth-set tie-break in the fourth round, on Wednesday with a spot in the last four on the line. Nishikori’s victory against Pablo Carreno Busta was not his first marathon at Melbourne Park this year. The eighth seed rallied from two sets down in the opening round, and then outlasted 39-year-old Ivo Karlovic in a fifth-set tie-break in the second round. Time and time again Nishikori has been tested this fortnight, but despite spending 13 hours and 47 minutes on court — that total leads the four players in the top half of the draw and is three hours and 22 minutes more than second seed Rafael Nadal has spent in action advancing to the semi-finals — he has kept on winning, and that’s what counts. Another obstacle he’ll have to overcome is what has been a lopsided FedEx ATP Head2Head rivalry with Djokovic. The six-time Australian Open champion, who is trying to separate himself from Roger Federer and Roy Emerson by winning a record seventh trophy at the tournament, has won 15 of their 17 clashes, including 14 in a row. The winner of that battle will face either former World No. 3 Milos Raonic or 28th seed Lucas Pouille. While Raonic advanced to the semi-finals in Melbourne just three years ago, Pouille had not won a match at the season’s first Grand Slam before this edition of the event. Perhaps nobody has faced a more difficult road to this stage of the tournament than Raonic. In the first round, he had to play talented Aussie Nick Kyrgios, and then 2014 champion Stan Wawrinka in the second round. The Canadian ousted reigning Nitto ATP Finals titlist Alexander Zverev in the fourth round to set his match against Pouille. Pouille will face a challenge in trying to work his way into Raonic’s service games. The 16th seed Raonic has won 94 per cent of them in his first four matches, facing just five break points in the tournament. He also is the tournament’s co-leader (w/Opelka) in aces with 107. Raonic has won their three previous FedEx ATP Head2Head meetings without dropping a set, and losing serve just once in seven sets. Pouille arrived in Melbourne having lost five of his past six matches.. But with new coach Amelie Mauresmo by his side, he is set to compete in his third major quarter-final. More people than you might think, actually. Taking the Australian Open in isolation, two of the sport’s rising stars – Tiafoe, 21, and Russia’s Daniil Medvedev, 22 – have been spotted drinking it in Melbourne this week. And widening the sample size a little, a photographer snapped Arsenal’s 22-year-old Uruguay midfielder Lucas Torreira drinking from a bottle labelled “pickle juice” in the Gunners’ 2-0 victory over Chelsea last weekend (although he did swiftly spit it out!). Is this sport’s latest fad? And what is the science behind it all? BBC Sport finds out. The following day, Medvedev took time out from his match against Novak Djokovic to down some of the pungent fluid. It tastes bad… but does it actually work? Dr Mayur Ranchordas – a senior lecturer in sport nutrition and exercise metabolism at Sheffield Hallam University – has used the technique with professional cyclists and Premier League footballers. “However, how it really works is that it triggers a reflex in the mouth which sends a signal to stop muscles from cramping. That’s why it is drank at the onset of cramp. Dr Ranchordas says it is particularly effective as a treatment for cramps in warmer conditions or when sporting occasions last longer than anticipated – be it a five-set tennis match or in extra time of a football game. Just last month, India batsman Cheteshwar Pujara was shown grimacing on TV as he took the foul-tasting fluid on board during a marathon innings in oppressive heat in Adelaide. The internet is full of stories of how pickle juice can cure alcohol-induced hangovers. One website even suggests pickle brine is the definitive hangover cure in some eastern European countries. Throw in the fact it contains antioxidants, is said to help control blood sugar levels and boost gut health and you’re on to a winner next time you reach for a nice refreshing glass of the stuff. It is actually good for your breath, because it kills bacteria which breed in your mouth and create a stink. 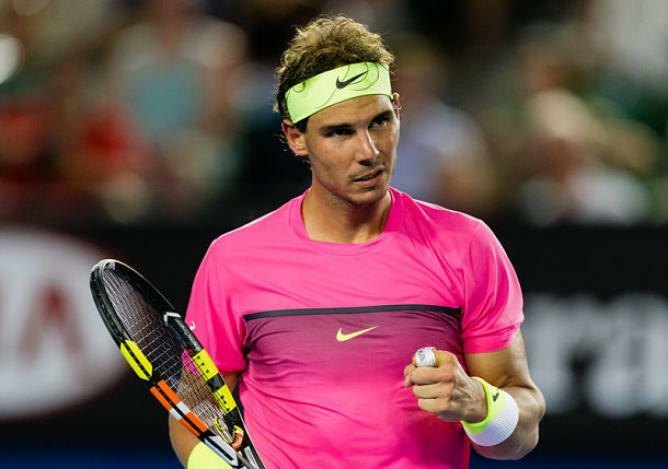 Rafael Nadal was business-like and at times ruthless in his victory over Frances Tiafoe on Tuesday night at the Australian Open. The 2009 champion ended the run of the #NextGenATP American 6-3, 6-4, 6-2 in one hour and 47 minutes for a place in his 30th Grand Slam championship semi-final. The second-seeded Spanish superstar, who is bidding to capture his 18th major crown in his first tournament since September 2018 at the US Open, won 84 per cent of his first service points and struck 29 winners past Tiafoe, who committed 34 unforced errors. Nadal will next challenge No. 14 seed Stefanos Tsitsipas of Greece for the third time. He leads their FedEx ATP Head2Head series 2-0, with final wins in 2018 on the clay of the Barcelona Open Banc Sabadell and on the hard courts of the Rogers Cup. Nadal won 14 of the first 17 points — including the first service break in the second game — in an electric start by keeping his groundstroke length consistently deep to push Tiafoe around the court and behind the baseline. At 0-3, Tiafoe slowed down his serve to settle his nerves, and began to work his way into the match, but Nadal went 15 for 15 on first serve and finished the opener with consecutive forehand winners. From 5-3 up in the first set, Nadal won 12 of the next 13 points to maintain control against Tiafoe, who missed out on two break point chances — due to forehand errors — when his Spanish opponent served at 2-1 in the second set. Tiafoe found his service rhytmn, but at times he rushed and hit closer to the lines. Nadal was simply ruthless in striking anything short for a winner, yet Tiafoe resisted the pressure to save three set points when serving at 3-5. Nadal closed out to love in the next game, finishing with a smash winner from the baseline. Tiafoe, with a 1-5 record in fifth sets, lost his first service game for the third time to immediately be placed on the back foot in the third set. Three groundstroke errors handed Nadal another break for a 5-2 advantage, before the World No. 2 closed out to 15 with Tiafoe hitting a backhand wide. Only Roger Federer (43), Novak Djokovic (34), who plays Kei Nishikori in the quarter-finals at Melbourne Park on Wednesday, and Jimmy Connors (31) have reached more major semi-finals than Nadal in the Open Era (since April 1968). Tiafoe had been bidding to become the youngest American man to reach the semi-finals at the Australian Open since Andy Roddick (20 years, 149 days) in 2003. Danielle Collins has reached the Australian Open semi-finals, having never won a Grand Slam main draw singles match prior to the tournament. The American, 25, beat unseeded Russian Anastasia Pavlyuchenkova 2-6 7-5 6-1 in two hours and 16 minutes in Melbourne. Collins broke twice in the second set and won seven games in a row as she raced through the decider. The world number 35 faces two-time Wimbledon champion Petra Kvitova or 15th seed Ashleigh Barty next. It was a feisty match from the start as the opening two games lasted 22 minutes and saw seven break points – including five which Collins could not take. Collins, who knocked out world number two Angelique Kerber in the fourth round for the loss of just two games, was vocal throughout and showed plenty of emotion on court. Pavlyuchenkova’s experience of four previous Grand Slam quarter-finals was evident in the first set as she remained calm and held off Collins’ early pressure. The Russian, who beat 2017 US Open champion Sloane Stephens in a mammoth fourth-round tie that went on until 01:53 local time, fought back from 5-2 down in the second set to 5-5. But she had the stuffing knocked out of her when Collins broke again to level the match. The American was full of momentum and went on to break twice in the final set, while Pavlyuchenkova won only nine points on her serve in the decider. Collins could not convert a match point at 5-0 and was made to work in her last service game before she eventually secured victory on her third match point. It didn’t have the flair or style of his victory against Roger Federer, but Stefanos Tsitsipas’ win against Roberto Bautista Agut showed an entirely different – and maybe more impressive – side of the 20-year-old Greek. Where he wowed the Federer crowd with shake-your-head winners, against Bautista Agut, Tsitsipas showed the hustle and grit it might take for him to win his maiden Grand Slam title this fortnight. The reigning Next Gen ATP Finals champion reached his first Grand Slam semi-final on Tuesday, ending the ironman run of Spain’s Roberto Bautista Agut 7-5, 4-6, 6-4, 7-6(2) under the baking Melbourne sun. Tsitsipas, who had reached only one fourth round at a Slam before this fortnight, set three main goals to start the year: Crack the Top 10 of the ATP Rankings, make the Nitto ATP Finals in November, and reach a Grand Slam semi-final. Three full weeks into the season, and he’s a third of the way there. He will face either 17-time Grand Slam champion Rafael Nadal or #NextGenATP American Frances Tiafoe, who’s playing in his first major quarter-final. “I’m just living the dream, living what I’ve been working hard for. I mean, I feel a bit emotional but not too much because I know, again, I really worked hard to get here, the semis of a Grand Slam,” Tsitsipas said. The 30-year-old was moving Tsitsipas from tramline to tramline and landing passing shots at the 20-year-old’s ankles when the Greek sprinted forward. But Tsitsipas began to probe Bautista Agut’s legs, hitting behind the Spaniard again and again, and he broke in the 12th game to take the opener. Another slow start in the second, however, doomed Tsitsipas’ chances, as Bautista Agut never let up and Greece’s #NextGenATP star lacked the precision that helped him knock off his idol on the same court two days earlier. A five-set match became a three-set match, and Tsitsipas honed in his focus, pounding Bautista Agut’s backhand, making the Spaniard, who was finally showing the effects of his marathon run, stretch with both hands and stay home. Two, three, four consecutive topspin-heavy shots to the backhand, and Tsitsipas would then step in to rip a forehand down the line or race forward for a putaway. He might land that Top 10 ATP Ranking he’s chasing this fortnight as well. Tsitsipas is projected to climb to No. 12 and, if he makes the final, he’s projected to enter the Top 10.